The Venezuelan people’s battle for freedom from corruption, hunger, and socialist tyranny continues. 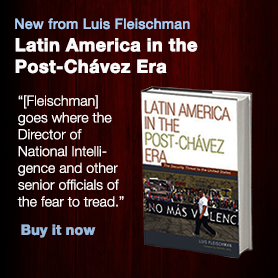 Unfortunately for Venezuela, that fight looks to be nowhere near over and may not be for some time. Unless the opposition steps up the pressure dramatically — and relentlessly — and unless tangible outside help arrives soon, Maduro will remain in power. After the first tumultuous days when hundreds of thousands of Venezuelans took to the streets to support the courageous declaration as interim president by opposition leader and National Assembly president Juan Guaidó, and many countries (including the U.S.) quickly backed him, enough of the National Bolivarian Armed Forces of Venezuela remain loyal to the Maduro regime that its grip on power has not yet been seriously shaken. The January 24, 2019, pledge of support from the hopelessly corrupt Defense Minister Vladimir Padrino and key members of the Venezuelan top brass assured Maduro that the military was still under his control (and patronage). Guaidó has offered amnesty to soldiers who defect to his side and U.S. Secretary of State Mike Pompeo promised more than $20 million in humanitarian aid to Venezuela at a January 24 special meeting of the Organization of American States (OAS); Pompeo also called on the 15-member United Nations Security Council (UNSC) on January 26 to “stand with the forces of freedom.” At the same time, though, Maduro regime support from China, Cuba, Hizballah, Iran, and Russia demonstrates the global character of the struggle against oppression and tyranny. 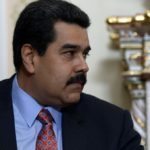 Some of Maduro’s support has economic implications — Cuba receives some 50,000 barrels of Venezuelan oil a day and both Beijing and Moscow have extended billions in credit to the Maduro regime — but an even more important frame of reference is the seemingly perpetual conflict between those who would dominate the human spirt (communism/socialism, fascism, Islamic supremacism) and those who fight for the right of the individual to live free. Whether the forces that seek to crush individual liberty prevail in the end, in Venezuela or globally, depends on multiple factors. Of key importance in Venezuela are the willingness of the military to continue obeying regime orders and any decision about calling out Cuban, Iranian/Hizballah, or Russian security forces to preserve Maduro in power. 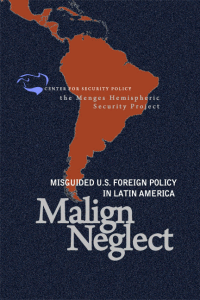 The Trump administration’s calculated ratcheting up of pressure (diplomatic, financial, and perhaps more) against Maduro (as well as his supporters in Havana and Moscow), in coordination with tangible support to Guaidó and offers of amnesty or lenient treatment for senior regime officials will all help tip the balance. In the end, though, the irrepressible will of human beings to be free will matter more than the OAS, UNSC, or any other organization. Unfortunately, too, it is more likely than not that the end of the Maduro regime will be chaotic and violent rather than orderly or voluntary. Its eventual replacement seems inevitable, though, and a victory for the Venezuelan people will likewise be a victory for human liberty everywhere.